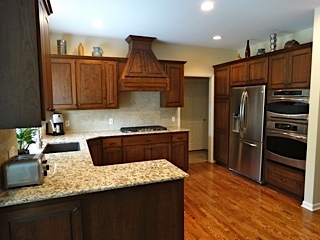 Kitchen remodeling is one of our favorite projects at Artisans At Work. 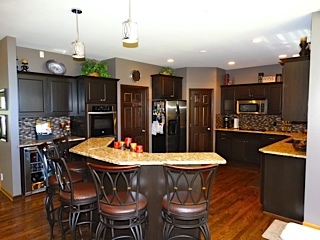 The kitchen is the nerve center of most homes. Whether it is daily living or gatherings, everyone ends up in the kitchen. From updating countertops & fixtures to redesigning and reconfiguring the entire space, kitchen remodeling requires just the right blend of form & function to meet usage & style needs. We find the challenge of kitchen remodeling exciting & rewarding. The right finishes – products that will last. Custom cabinetry – designed with features to suit your needs. 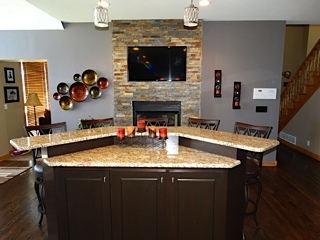 Granite, quartz or solid surface countertops with coordinating backsplash. Lighting design – balancing tasks & ambience. Plumbing fixtures – great design with superior warranty. Tile, wood floors or floor refinishes. Assistance with color & coordination. 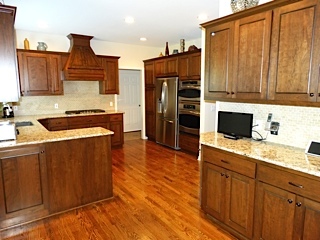 Whatever your kitchen remodel need, Artisans At Work can take your project from start to finish.